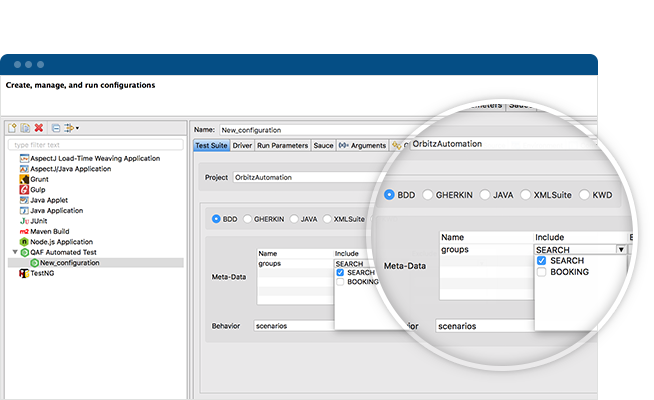 QMetry Automation Studio is sophisticated Editor for Test Automation. 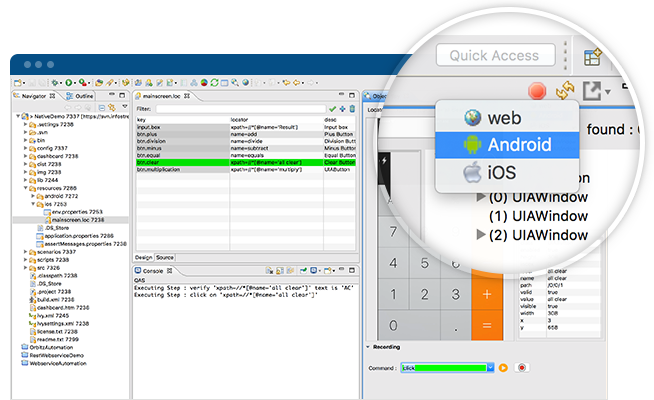 Build on top of Eclipse, Selenium & Appium, QMetry provides ability to seamlessly automate, execute and analyze Test Results on multiple platforms including Desktop, Web and Mobile. Improve your time to market by quickly authoring Automation tests and executing them in parallel. 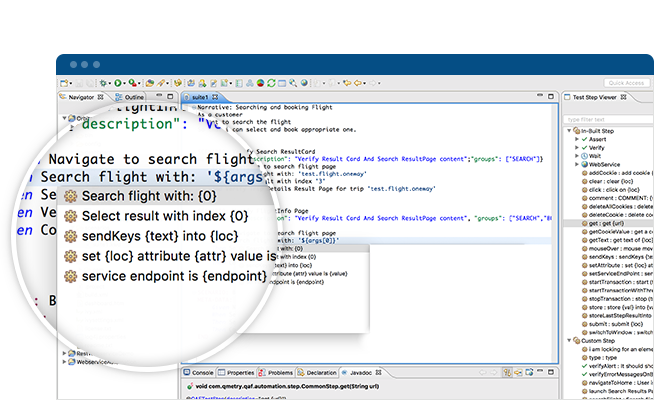 Author Test Automation Code, Debug Automation Scripts and Execute Automation Suite locally or on remote cloud. 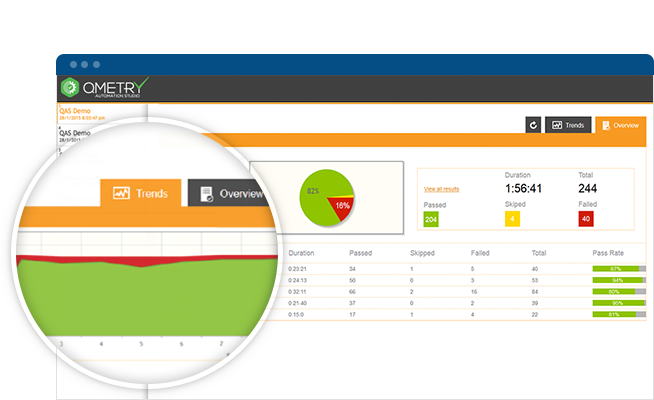 Review & Analyze results to quickly identify failures and fix them. Develop & Test on all platforms, Desktop, Mobile and Web. Auto-Code Generation with Exploratory Testing. Record & play back for web applications (Coming soon for Web Services). Automation support for multilingual applications. Behavior Driven Development support including cucumber framework. Test Data Management through CSV, XML, JSON, Microsoft Excel or your own database. Inbuilt support Key Word Driven Development. Create and manage Locator Repository for modular development. Execute Test Automation on Cloud Environments. Quick Hacks using Object Spy for fast coding. Web Service and REST API Layer testing supported. Reporting & Analytics that includes Trending & Root Cause Analytics. Integrates with all major Test Management Platforms, QMetry, HP ALM, Rally and more..
Integrates with all Continuous Integration Systems including Jenkins, Bamboo, Teamcity. 30 day Free trial. Purchase single license or site wide licenses for your organization. By adding the following code below to your website you will be able to add an install button for QMetry Automation Studio.